Need a premium and stylish backpack to hold your daily essentials? 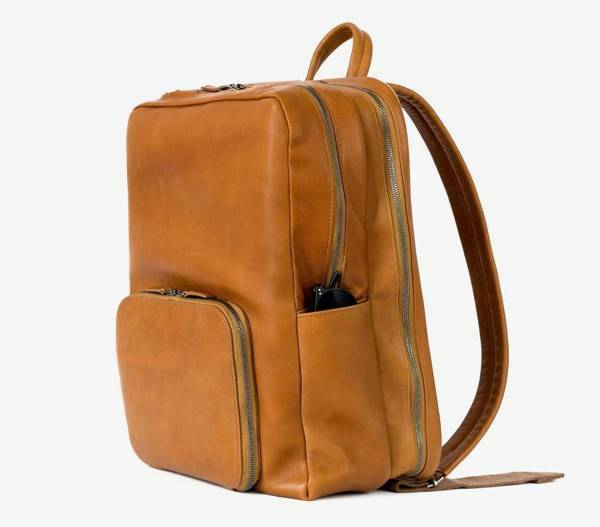 Take a look at This Is Ground’s Venture leather backpack, it should be a nice solution. The Venture is a fashionable and versatile backpack that comes in two sizes. The regular Venture backpack measures 11.5 X 16.25 inches and the mini model is 10.5 X 13.5 inches. 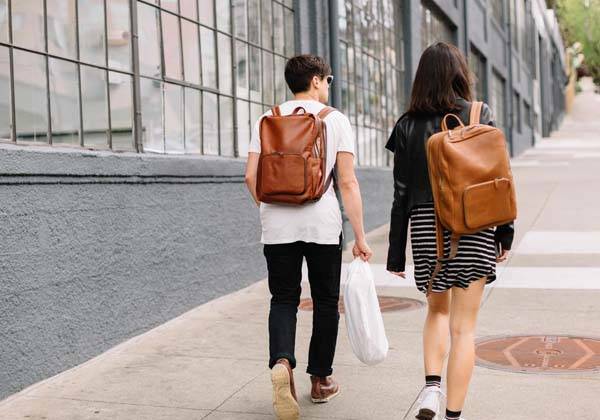 As we can see from the images, both backpacks show off a gorgeous, minimalistic appearance, and it’s crafted of soft, rugged vegetable tanned Italian leather in order to deliver a strong construction and classic and luxurious aesthetic style. 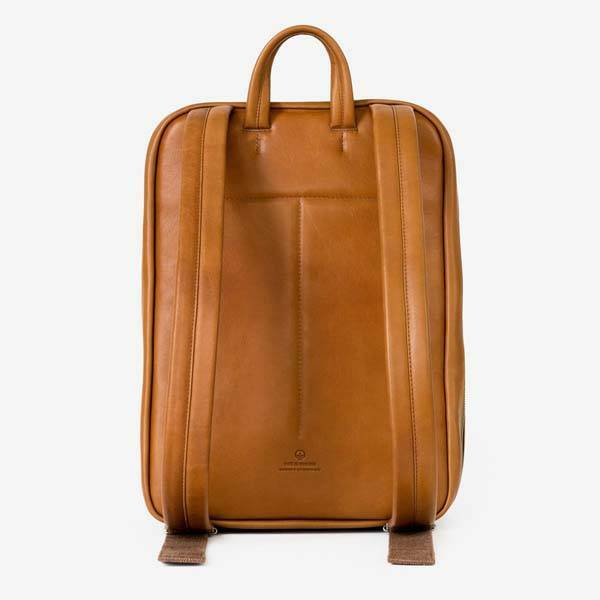 The Venture leather backpacks has the ability to accommodate your numerous items including iPad Pro, Apple Pencil, MacBook, books, documents, and more. The mini Venture backpack fits MacBook 11″, 12″ and 13″, and the regular model supports up to 15″ laptop. Moreover, its microfiber lining protects your devices from getting scratched, and its hidden pockets keeps those small accessories in place. Furthermore, the Venture backpack also features a well-designed external storage section with pockets, loops and pen holders that’s designed to hold those frequently used items like iPhone, earbuds, passport, and more. 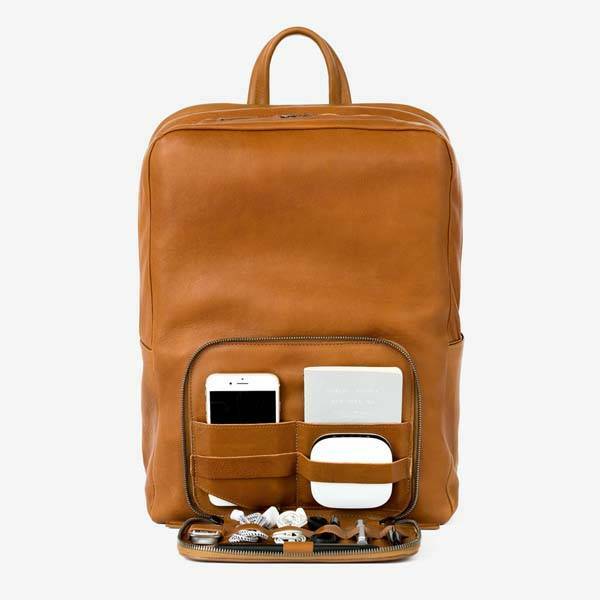 In addition, an included Tile Bluetooth tracker ensures the backpack alway stays with you, and optional addition on WiFi from Karma lets you connect into the Internet with ease. The Venture leather backpack is available in two sizes and five colors, each will set you back $750/$725 USD. If you’re interested, jump to Fancy for its more details. BTW, also don’t miss the Grid modular backpack and more related cool stuff by following tags.